Doesn’t the term “loan forgiveness” have a nice ring to it? If you’re struggling under a huge pile of student loan debts than having them forgiven could be almost as good as having your sins forgiven. You have all that debt behind you and the rest of your life ahead of you. You could stop trying to live from paycheck to paycheck and actually start putting money aside for a new car, a wedding or even a house. While you might think that getting those student loans repaid would be the end of things you’d be wrong. 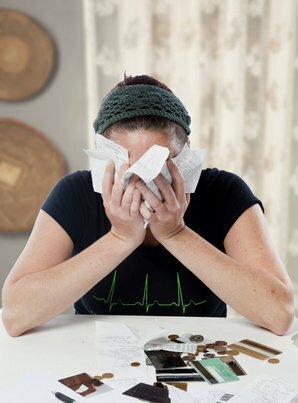 Student debts can have consequences that can drastically effect the rest of your life. For example, one recent study found that being in debt can cause you to choose a substantially higher-salary job and reduce the probability that you will choose a lower-paid “public interest” job. Why is this? It’s because if you have high student debts it’s most likely you’ll choose to work for a corporation in the private sector where you can earn high wages. If you have practically no student loans, you might be more willing to take a job involving public service such teaching or working for a nonprofit. Instead of being forced to put on a suit and tie and go to work every day, you might choose to move to one of the Third World countries and help fight hunger. The same study found that high student debt can have a significantly negative effect on small business formation, which is sort of academic speak for people’s interest in becoming entrepreneurs. When you think about it, this just makes sense. If you go to work for a corporation you should have enough money to handle that student debt burden. But if you go out on your own, your income will be more volatile – at least to begin with. This can be harder to manage when you have student loans, which in turn can impact your credit rating. Another consequence of student loan debt is that the average length that people are paying off these loans is up 80%. While it used to be the average length of repayment was 7.4 years it is now 13.4 years. If everything else is equal, a big increase in how long you will be repaying your student loans means that you’ll have to dedicate a bigger portion of your lifetime income to this. In turn, this can have a serious consequence on your ability to build wealth or just save for retirement. Finally, another study found that every additional $10,000 in student loans decreases the probability of getting marriage by at least seven percentage points. Just think about this for a minute. If you added on $30,000 in student loans the odds of you getting married would drop by more than 20% or one in five. So how does the state of New York come into the picture? The state of New York is now offering some loan forgiveness programs on its own – separate from the ones offered by our federal government. If you are an attorney or an indigent legal services lawyer move to New York. You could earn an award designed to retain you if your are an experienced district attorney, an assistant district attorney or provide legal services to the indigent. Licensed social workers can also earn an award if they have a minimum of one year of employment in a critical area of human services. Are you a nurse and could you teach? The state of New York has a nursing faculty loan forgiveness program the purpose of which is to attract more nursing faculty members and adjunct clinical faculty teachers in nursing. What do you think about becoming a farmer? The New York State Young Farmers Loan Forgiveness Incentive Program is meant to inspire college students to become farmers in the state of New York. It provides awards for loan forgiveness to anyone who obtains an undergraduate degree from a New York state university or college and agrees to farm in the state of New York for five years on a full-time basis. In this case, you would be better off staying where you are and trying for federal student loan forgiveness. This comes in three flavors. First, there is Public Service Loan forgiveness. To qualify for this program you would need to have certain types of student loans and make 120 qualified, on-time payments on those loans while working in a public service job. This could be working for a federal, state or local government entity or agency or for a nonprofit certified as a 501(c)(3) by the IRS. Those 120 on-time payments mean, of course, 10 years but at the end of that all your remaining balances would be forgiven. Second, if you’re qualified to teach certain subjects, you could get as much as $17,500 of your student loan debts forgiven. You would need to teach for five complete and consecutive academic years in a certain elementary or secondary school or in an educational service agency that serves low-income families. What this translates into is that if you currently owe $30,000 in student loan debts this could reduce your burden to $12,500, which should be much easier to handle. Since Perkins loans come from the school you attended you will need to contact it to apply for this type of cancellation. In general, you can usually have a percentage of your loan cancelled for each year that you work in one of these jobs. If you don’t qualify for one of these three programs, don’t give up. There are some federal programs that could assist you in repaying your debts in return for a service commitment. This includes the US Office of Personnel Management Student Loan Repayment Program, the National Health Service Corp. Loan Repayment Program and the Armed Forces Student Loan Repayment Program. Each of these programs offers different rewards. For example, the US Office of Personnel Management Student Loan Repayment Program offers up to $10,000 a year for loan repayment to a maximum of $60,000. The National Health Service Corp. Loan Repayment Program offers an initial reward of $30,000 or $50,000 and the Armed Forces Student Loan Repayment Program could mean up to $65,000 of your eligible loans would be repaid – depending on your branch of service. You say you wouldn’t qualify for any of these programs? There is a class of federal loan repayment programs called Income-driven Repayment that could help ease your burden. Here’s a brief video, courtesy of National Debt Relief, that explains what it’s all about.